Ecoply plywood was specified for Adriano Pupilli Architects’ IMBY kit, a modular structure assembled using expressed timber friction joints. Image: Courtesy Adriano Pupilli. 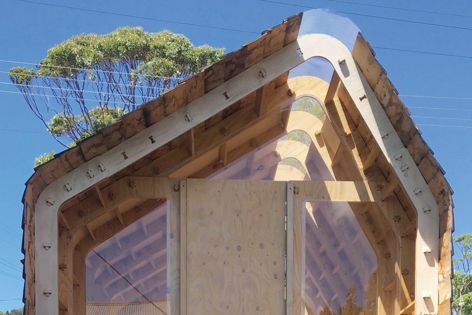 The IMBY (In My Back Yard) kit is a beautiful, light-filled structure that celebrates its own form. Expressed tusk-tenon joints are combined with the accuracy and strength of contemporary fabrication using locally harvested, FSC-certified Ecoply plywood panels.